Lakefront living in the heart of the city! Come to Nova Scotia and experience our epic maritime and military history. Massive mainsails billowing in the brisk sea breeze. Cannons blasting. Soldiers marching. Ghosts gathering. Horse drawn wagons clattering. Blacksmiths’ hammers clanging. Archaeologists digging. History here is a full-on sensory experience. Step dance. Smell the sweetgrass. Try the rappie pie. Follow your family’s footsteps to freedom. Nova Scotia’s Culture is a mix of Acadian, Mi’kmaq, Scottish and African Nova Scotian foundations; a passion for the past; and an unparalleled love of a good kitchen party. From the spectacle of an Antigonish Highland Games to simple storytelling around a sacred fire to searching out your family tree in small town archives, there are endless ways to experience your own personal Nova Scotia. Build sandcastles, fly kites, take a surf lesson, or just walk barefoot in the sand. There’s nothing like a beach to bring out the little kid in all of us. And every day offers up a new adventure when you’re exploring the nooks and crannies of Nova Scotia’s 7,600 km (4750 miles) of seacoast. Home Heating And Utility Service. 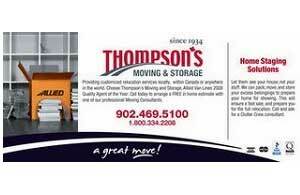 Are you moving to the Halifax Region and require accommodations for you and/or your family for months or years? We are the premier provider of Executive Residential Rental Properties in Nova Scotia and Newfoundland with furnished 'and' unfurnished condominium suites and house downtown and throughout Halifax, Dartmouth, Bedford, Fall River and south shore to Chester. Choose from a condominium in The Martello or King's Wharf or a beautiful home in the city or on the ocean .... it's all about lifestyle! The properties represented all meet specific standards and are selected to meet the range of lifestyle and budget requirements of a discriminating tenant. EXCEPTIONAL SERVICE THROUGHOUT THE TERM OF YOUR STAY - not only during the sales process. 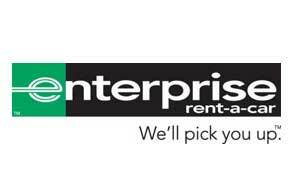 If you wish to rent an Executive Property, contact Executive Property Rentals!